In 1861, he entered McGill University to study law. He boarded with Dr. Séraphin Gauthier’s family. Dr. Gauthier’s wife, Phoebe Lyons, knew Carolus and Wilfrid well. Several years earlier while living in Saint-Lin, she had offered to care for Wilfrid if need be. Living now in Montréal, she kept her promise and took Wilfrid under her wing. Like the Laurier family, the Gauthier’s were clearly Liberal supporters. Wilfrid found a friendly atmosphere for animated political discussions. He would live there until he graduated from the Law Faculty in 1864. Laurier studied law in English. However, he was friends with French Canadians and revered some of his professors, among them Rodolphe Laflamme and John J. C. Abbott. Wilfrid studied diligently and did very well, but was not a leader. He finished among the top of his cohort despite the illness that wreaked havoc on his second year of university. 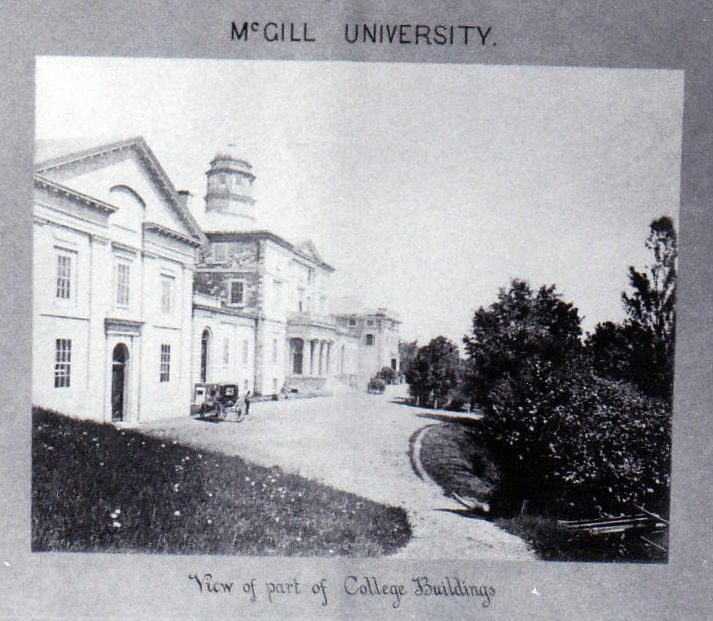 Wilfrid Laurier made his first public speech during his third year at McGill University. He was mandated to give the valedictory at the McGill Law Convocation of 1864. During it, he discussed the mission of a lawyer in modern society. History would note this first speech as idealistic and naïve. However, Laurier made a good impression on those present.